Positive Psychology focuses on the following key elements: positive emotions, positive individual traits, positive relationships and positive institutions. Understanding positive emotions entails the study of contentment with the past, happiness in the present, and hope for the future. This course lays the foundation for the theoretical and applied knowledge that gives learners an insight into the dynamics of the human mind and behaviour. 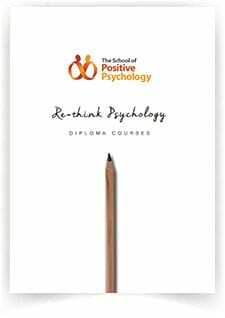 The course covers foundational modules for learners to acquire a wide reaching background of both psychology and positive psychology that can be applied for use in daily work and play.